An audio visual company is essential, whether you need the one-time installation for your conference rooms or require periodic setups for a string of events. So you need a service that is reliable, flexible, and highly capable in every aspect of audio visual system integration. Clearly, your selection process has to lead you to the best AV system provider. Here are some ideas on how to evaluate audio visual companies before you hire one. Look for previous audio visual projects the company has done. What has the AV company done so far with its previous projects? 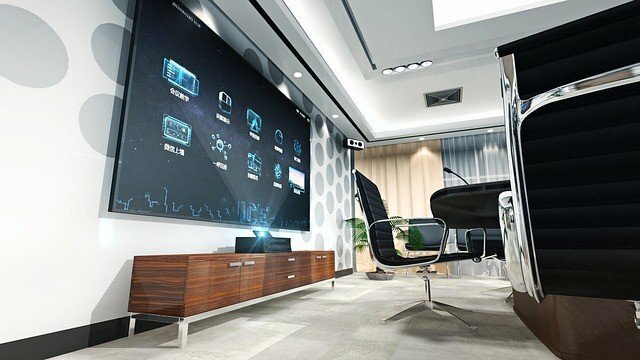 Has it installed AV systems for many offices? Has it done more events than corporate AV system set up? Has it also done projects for leading exhibitions in and around the region? In learning about the AV company’s previous works, you determine its capacity for smaller and larger projects. You also get insight into the sort of audio visual solutions it can recommend, for different requirements. And you uncover the AV system integration provider’s reputation. Find out if the company follows standards and best practices. Audio visual standards and best practices matter because they secure a higher level of performance. This also means your investment is not wasted on audio visual systems that do not last long or fail to meet your requirements. From processing equipment that support certain digital video protocols to audio and video clarity in any space, your AV provider should follow standards and best practices. Know the AV company workers’ level of knowledge with equipment, systems, and AV design. Ideally, you want to get a clear answer about certain systems when you ask any of the AV company’s employees. Knowledgeable AV workers can easily make recommendations on your events (how many lights will it need) or your boardroom AV integration (what’s the best video screen resolution for clear viewing at a certain distance). The best AV services will have IT type, trained staff, from the guy arranging the cabling to the person managing your AV system set up. Employees of this caliber will mean the company knows exactly what it’s doing. Ask about the company’s network of suppliers. Most AV companies will have suppliers for a wide range of audio visual equipment, for rent and for sale. Some companies will also have their own equipment to rent. But you may want more options so you have the opportunity to compare prices and brands. So look for AV companies that offer more than enough thoroughly vetted suppliers for your audio visual needs.